grandma's cookie jar: Second-Chance Giveaways! I put a fair amount of time and work into gathering items I can give away each year in November - I appreciate, with all my heart, those of you who take the time to read my little blog, so being able to give away some things at Christmas is just a small way I can show my appreciation. So, each November, I give away a number of things . . . this year I gave away 24 prizes - almost one prize a day! Lots of fun, for sure! not, so I've decided to have a Second-Chance Giveaway . . . but, with Christmas just two weeks away, it is my hope the winners will receive their prizes in time for Christmas. It is for this reason, I'm going to announce the second-chance prizes and then hold the drawings in two days - on Thursday, December 10, 2015. Check the prizes and then comment below to let me know the drawings for which you would like to be included. You will have just one day to get your contact info to me, so be sure to check back on Thursday, December 10th and if you win anything, get your contact info to me right away! And the Second-Chance Prizes are . . . These are some nice prizes - and would make great gifts, too! Comment below to let me know which prizes you would like to win - the drawing is in two days! I would love to win The Legend of the Christmas Cookie, or Esther: A Novel, or the DVD: Galaxy Buck. I follow on Facebook and email. Hi Lynda... I'd like to be entered for the science lab set, the photo tray, and the book The Legend of the Christmas Cookie. Thanks so much for your giveaways! Thank you for these great giveaways! I would love to enter for Esther :A Novel, The Color Monster, The Legend of the Christmas Cookie,and the DVD Galaxy Buck! Hi Lynda! Thanks so much for all you do! I would like to be entered for the book The Legend of the Christmas Cookie and the DVD Galaxy Buck: Mission To Sector 9 from Jellyfish Labs. Thanks so much for the second chance giveaways! Have a blessed Christmas. Thank you for the chance to win these items! I would be thrilled to win the DVD Galaxy Buck, Esther or the Jellyfish Labs. Have a Blessed Christmas! Thank you. I would love to win The Color Monster: A Pop-Up Book of Feelings and Dining with...Monsters! : A Disgusting Way to Count to 10! 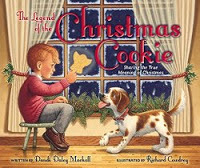 I would like to be enter in the The Legend of the Christmas Cookie giveaway. 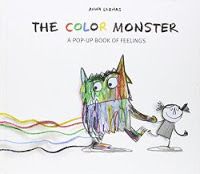 I would love to win The Color Monster: A Pop-Up Book of Feelings and Dining with...Monsters! : A Disgusting Way to Count to 10! These drawings are a lot of fun and I am so thankful you take the time to do them. If I could also be entered for the lab set, I would be grateful. 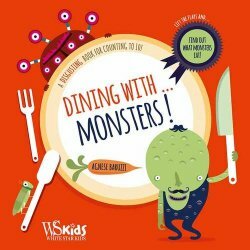 It would be so cool for the pre-school groups I work with. I'd love to be entered for the Jungle Crew Lab Set and The Legend of the Christmas Cookie. 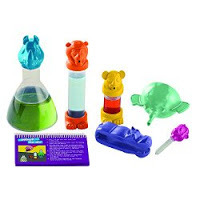 I would love to enter the jungle crew lab set ONLY. I would love to have this for my daughter who homeschools her 4 girls. I would like to be entered for the Photo Catch-all Tray, Jungle Crew Lab Set, and DVD Galaxy Buck: Mission To Sector 9 from Jellyfish Labs. 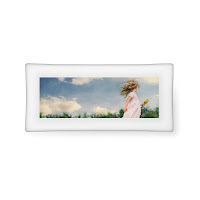 I would love to be entered to win the shutterfly tray!! I love shutterfly and being able to give personalized gifts! I would love a chance to win the photo tray and the book Esther. Thank you for all the time you put into these giveaways and thank you for the chance!